For individuals experiencing homeless, dental care is often relegated to a lower priority than securing a safe place to sleep or finding a hot meal. A lack of dental care leads to missing teeth, diseased gums, and many other health concerns, not to mention a loss of confidence. The Broward Partnership’s Smiles Work! 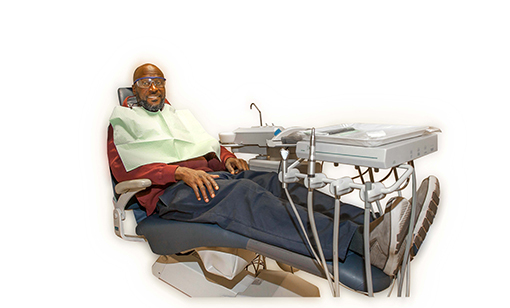 dental program provides a way for homeless adults to receive much-needed oral care at no cost. Dental care is a priority at the Partnership because for those who enter our doors, it’s about more than filling cavities. It’s about giving them the ability to once again smile, socialize, work and feel good about themselves. Patient encounters occur each year. free dental procedures are performed annually. patients (give or take a few) are seen at the Broward Partnership’s onsite clinic every year. Help us create even more smiles.